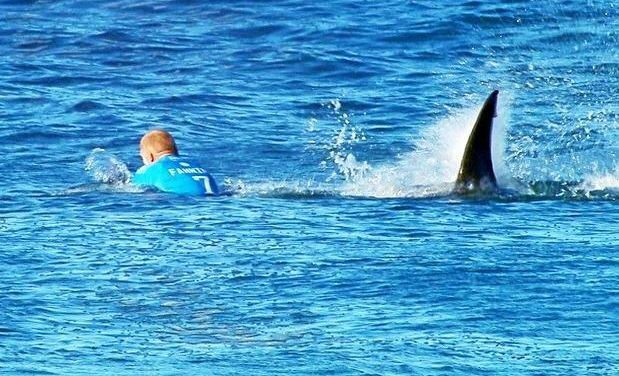 Mick Fanning's famous encounter with a white shark off Jeffrey's Bay South Africa in July 2015. 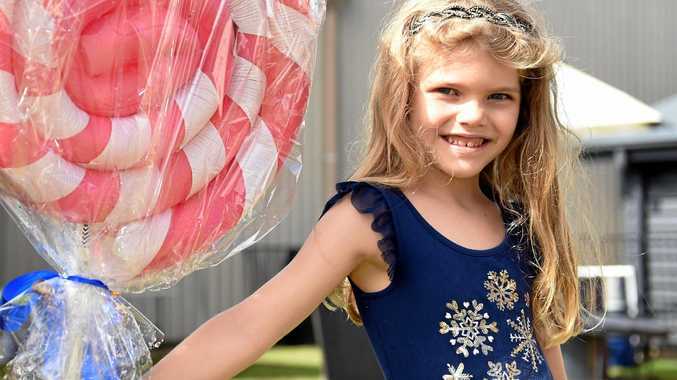 Update 3.32pm: TWO Catholic-run ocean sport events have been cancelled but a Catholic Schools Office spokesman says schools are free to run their own carnivals as long as they heed the risks. According to Catholic Schools Office, Assistant Director School Resources Services, Dirk Botha, the memo sent out on February 1 only affects just two Diocesan sporting events. "Our decision really only impacts two events, the Diocesan surfing carnival and Diocesan surf live saving events," he said. "But schools hold surfing carnivals all the time which are not organised the Diocesan and they are free to make the local decisions made on local risk assessments." Mr Botha said the Catholic Schools Office has decided to withdraw from organising the Diocesan surfing and surf lifesaving events. "Surf and surf lifesaving is not a pathway sports activity for the Combined Catholic College sporting agenda," he said. "The decision to formally withdraw from Diocesan organised surf (and) surf lifesaving has been made based on a risk assessment which affirms our decision." However, Mr Botha said schools which come under the CSO are free to make their own call depending on conditions and safety assessments. "Our decision does not inhibit schools conducting their own risk assessments giving consideration to whether the beach is a protected beach, whether drones are available during the event (and) the presence of nets or smart drumlines," he said. Original story Sunday 1.09pm: SURFING will be banned at all Catholic schools on the North Coast for the foreseeable future. THE Catholic Diocese of Lismore, which controls all Catholic schools from Port Macquarie to the Queensland border, has issued a ban on all open ocean surfing and surf lifesaving in response to the threat of "shark encounters". A memo announcing the ban was sent to principals by Director of Catholic Schools David Condon on February 1. It stated that the Catholic Schools Office had recently sought an independent risk assessment of parish schools conducting surfing and surf lifesaving in open waters, "specifically in relation to potential shark interactions". "After consultation with the Catholic Schools Council, it has been determined that all Diocesan surfing, and Diocesan surf lifesaving in open waters conducted under the auspices of the Catholic Schools Office, will cease in 2018," the memo said. At this stage it is unknown who conducted the independent risk assessment, nor what criteria were used. The door was left open however for schools to conduct their own "independent assessments" of the risk. 3. If no nets or smart drum lines are present, then the event should not proceed. The memo emerges at the same time a new CSIRO report using world first genetic analysis estimated there were almost 5500 white sharks living off Australia's East Coast. The estimate came with a huge margin for error, with the real number considered in the report as being anywhere from 2900 sharks to 12,800 sharks. Less than 15% of the estimated population (750) were adults, with an estimated 73% survival rate for juveniles each year (giving them a one in four chance of death each year). In Australia white sharks have been protected under the Federal Environment Protection and Biodiversity Conservation Act since 1999. They take 12-15 years to mature.